Welcome to the first of our new Motor1 Car Parade monthly video series, showcasing the evolution of cool cars throughout automotive history. We start this adventure with everyone's favorite rally-bred machine, the famous WRX. Subaru began making waves in the world of stage rally in the early 1990s with its first-generation Legacy sedan. 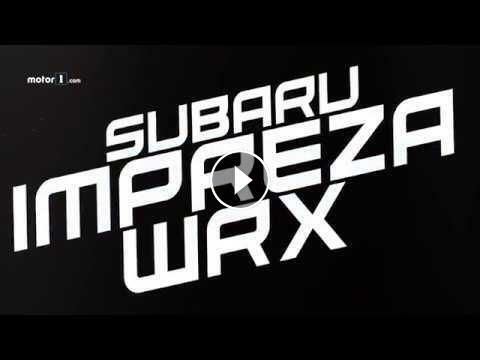 Though marginally successful, a smaller car would be better suited for the demanding stages of the World Rally Championship, and the Impreza WRX (which stood for World Rally Experimental) was born. The updated WRX STi first appeared in 1994, but it was Colin McRae and his famous 555 Subie that scored the automaker its first World Rally Championship title in 1995. That marked the first of three consecutive WRC titles won by the automaker, which, in addition to the highly collectible and supremely awesome Impreza 22B (below), cemented the WRX as one of legendary nameplates in the 1990s era of Japanese performance. Things changed a bit in 2000 with the introduction of the second-generation WRX. Aside from the polarizing “bug eye” styling the car was a bit bigger, and it didn’t enjoy quite the same racing success. It did, however, introduce the United States to the WRX’s boosted all-wheel-drive performance for the first time – an important step that would arguably help guide the rally car’s future. The third-generation WRX in 2007 introduced a five-door hatchback to the lineup with a sedan offered later. Most people considered the fresh restyle an improvement, but this is also the era in which Subaru exited the World Rally Championship. The car continued to grow in size but remained a very stout performer in STi trim. Today, Subaru still pays homage to the WRX’s rally history with its classic World Rally Blue color matched with gold wheels – perhaps the only car that can pull off such a look from the factory and have it be cool. With the fifth-generation WRX in dealerships now, the car has certainly evolved from its humble 1990s roots. But it endures as a deliciously fun performance machine with 305 horsepower, all-wheel drive, and a penchant for attacking back roads.